Seeds are a great and easy way to add protein into your smoothies. Chia and flax seeds are our favorites when reaching for that extra source of protein. The greens are the most nutritious part of the smoothie, anything from spinach, kale, and parsley can add fantastic benefits to your smoothie without even tasting them. Put some spice in your life with a few spices in your smoothie. Spices have great benefits like antioxidants and anti-inflammatory properties. Our favorite spices to use in smoothies are cinnamon, nutmeg, cayenne and even turmeric! 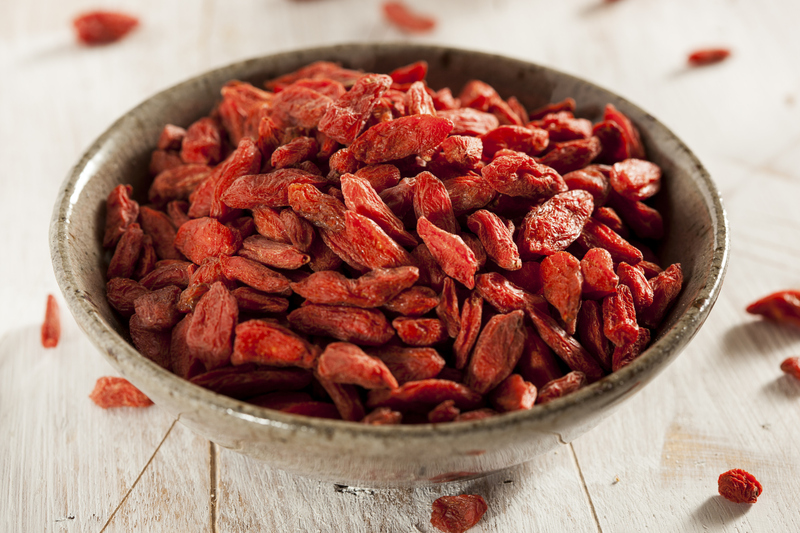 You may be hearing the term “superfood” everywhere and that’s exactly what the Goji Berry is. Goji berries are high in antioxidants, contain 18 amino acids and can be a boost for your immune system. Wheatgrass isn’t only an energy boost but also contains amino acids, fiber, antioxidants, vitamins and so much more that can help but your body in balance.